Home→Uncategorized→NH Police Chief: I Need Tanks to Fight the Free State Project! ← Does Washington Post Purchase Create Spooky Conflict of Interest? NH Police Chief: I Need Tanks to Fight the Free State Project! 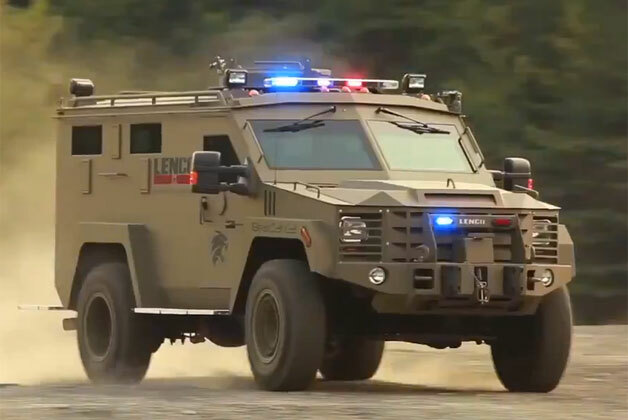 Mother Jones reports that Concord, NH Police Chief John Duval has backed off his outlandish suggestion that his police department needs a Lenco Bearcat G3 to fend off the terrorism threat posed by the Free State Project and Occupy New Hampshire. Duval had made the claim in his application for a $250,000-plus grant to purchase the armored vehicle that Free State Project President Carla Gericke simply calls a tank. Of course, Duval still wants his Bearcat nonetheless—even if he does have to amend his application. You see, several other New Hampshire police departments already have the armored vehicle, the Bearcat looks really neat in the advert video with AC/DC’s “Thunderstruck” playing. And, somebody else is willing to pay for it! Nothing moves the demand curve like “it’s free”.